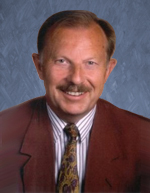 Werner obtained his degree in engineering from the Technical University in Hanover, Germany. After receiving his Ph.D. he was appointed head of the Department of Information Technology at the German Federal Institute of Physics and Technology (Physikalisch-Technische Bundesanstalt [PTB], in Braunschweig). Seven years later he was promoted to Director and Professor at PTB.1 His research concerns have involved information science, mathematics, and systems control technology. His many original research findings have been published in scientific journals or have been the subject of papers presented at scientific conferences and at universities in Germany and around the world. He is the author of Did God Use Evolution?, If Animals Could Talk, Stars and their Purpose and In the Beginning was Information. Werner is also a renowned evangelist, having spoken widely on issues relating to the Bible and science. Though retired, he has contributed many articles to Creation magazine and the in-depth Journal of Creation (formerly TJ). What about the ‘big bang’? A scientist. I.e. it is most definitely an academic title. One who has published a significant number of original research papers in the technical literature. Must head a department in his area of expertise, in which several working scientists are employed.